It was reported in the Liverpool Daily Post on 17 March, that local solicitor and independent Tory councillor David Kirwan is planning to set up a new political party on Merseyside. It was particularly interesting to read that he is believed to be in secret talks with local business people, hardly the credentials for an open and democratic anti cuts party! The reality is that despite talk of an independent party, it will in essence be an independent Tory party with a pro privatisation and anti public service agenda that if elected would be likely to form a coalition with the main Tory party. 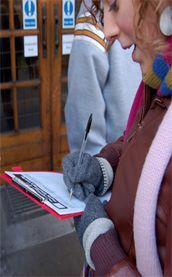 By way of contrast, the Wirral Against the Cuts (WAC) group which was set up in response to Wirral councils plans to close 11 libraries and various other leisure and community facilities, offers a genuine political alternative to the 3 main parties (and the BNP) based on an open and democratic structure with a clear anti cuts and pro public service programme. WAC has no links to and receives no funding from business people, we are proud that our only loyalty is to the ordinary people of Wirral. WAC campaigns around issues that really matter to the local community. We call for no closure of any council services or facilities, no job cuts, no privatisation or transferring council assets to charities or community trusts. WAC calls for a needs led budget and believes that politicians should consult local communities and workers on their needs rather than imposing their views from above. To achieve this WAC believes that there should be full funding for essential services without any cuts which means that additional government funding will be required to meet the deficit along with the abolition of central government spending restrictions. This would only require a fraction of what it has cost to bail out the banks. "attract people of calibre, integrity and vision". In reality, this is just the type of accountability that will attract people of calibre, integrity and vision to the campaign. There will be a new party capable of finding an echo amongst ordinary working class people of Wirral who will be contesting next years council elections but that party wont be Mr Kirwans Tory charade, it will be Wirral Against the Cuts. Meanwhile, WAC is not resting on it's laurels and is upping the ante in its community campaigning with plans to run use it or lose it days of action at the local swimming baths and other leisure facilities over the Easter holidays to help build the united campaign against the Councils plans and explain to the local communities what these plans really mean. The recently re-opened Bebington Oval sports centre is already struggling to cope with demand. waiting lists for swimming lesson are over 430 and rising as a result of the closure of nearby Byrne Avenue baths, which was run as a trust by a community group but had to close as it was unable to afford general costs of maintenance and repair. This is the reality of Wirral council�s plans for �community transfer�. Other leisure facilities are similarly over subscribed. It is therefore crucial that no further public leisure facilities are lost. WAC are also making preparations to prevent the closure of 11 libraries. The council have announced a rolling programme of closures starting in early April. WAC calls on local communities to use peaceful direct action to prevent these closures. The WAC group will be meeting shortly to discuss these plans in more detail.